Sts have to describe the picture using the structure: I wish.. This downloadable worksheet is best suited for high school students, elementary school students and adults at Pre-intermediate (A2) and Intermediate (B1) level. 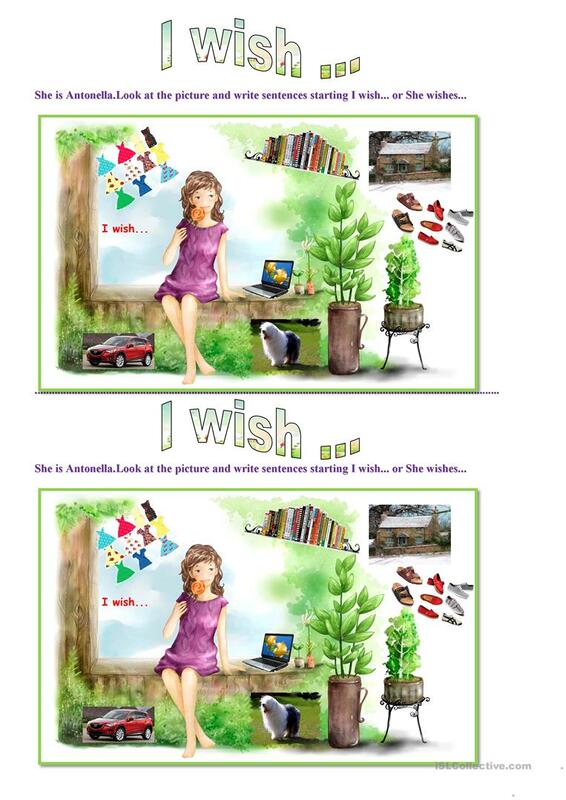 It is a useful material for teaching Conditionals and Conditionals - I wish / If only in English, and can be used for improving your groups' Speaking and Writing skills.